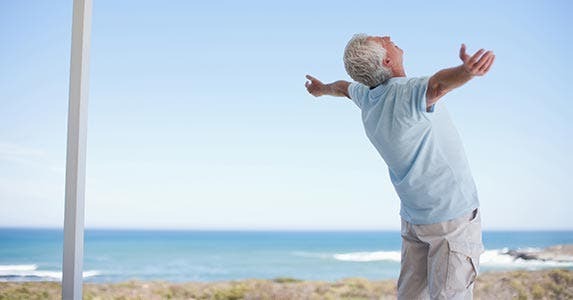 Retirement is something that everyone looks forward to and can’t help but think about, no matter how far down the line they have to go before they can actually retire in the senior living lifestyle. It doesn’t matter if you’re 30, 40 or even 20, it’s never too early for you to start planning for retirement. If you’re part of the younger generation, then starting to put back money is a good place to start, but if you’re closer to actual retirement age, then there are more considerations for you to think about when the time finally comes for you to actually retire. The person you were while you were working may not be the same person who you want to be as a retiree. The qualities, skills and abilities that served you well might very well be nearly useless while you’re enjoying your retirement. Take a moment to decide what your persona will be once you retire. You’ll no longer have to cater to the whims of your job or career once you retire, so you’ll be free to redefine yourself and follow your own rules. All of the activities that you wanted to indulge in while you were working that you never had time for you can now take up. If you have a spouse, then the both of you need to sit down together and talk about the relationship the two of you will have once one of you retires or when both of you retire together. It’s perfectly natural to fall into a routine when you’ve been living with another person for a few decades, but that relationship can go through a dramatic change once one of you retires. Have an open and honest discussion about who will retire first and when, that way there won’t be any confusion later on down the road. There are several things that you might be looking forward to with retirement, but what are you afraid of? With this new chapter of your life comes new challenges and concerns that need to be addressed. What if your health takes a turn for the worst and you have to rely on other people to take care of you? What if your retirement funds draw up faster than you plan? There’s also the possibility that you could become a widow or a widower after you retire. While these are things that can cause you some discomfort, they are very real possibilities that call for real solutions. Be sure that you talk about your fears with your spouse so that the two of you can face them together. If you decide to retire at 65, you’re going to have several years on your hands and a potential of several hours’ worth of free time. In order to make sure that you don’t go stir crazy from boredom or burn yourself out from being so active, you’ve got to find the balance between relaxing and doing all of the activities that you wanted to do before you retired. While you don’t have to be productive every second of every day, you also don’t want to spend all of your time camped out in front of the TV since that can prove to be quite detrimental to your health. There’s a time for relaxation and there’s a time for activity, and it’s up to you to decide where the balance lies. You have to remember that as you age your health ages with you. You can’t eat the same things you used to eat and do the same activities that you used to do when you were 40. In order to take care of your health, you’ll need to make sure that you’re always alert when you’re crossing the street, driving or doing work around the house. A lot of scammers choose to target senior citizens, so always be on guard whenever you hear about deals that might be too good to be true. While there’s no need to be overly paranoid, there’s also no need to be overly trusting of everything that you hear. Focus on taking care of your mind, body and finances once you retire. Retiring is a celebration of how far you’ve come in life and how hard you’ve worked to get to retirement. Get the most out of being a retiree by being properly prepared mentally, emotionally, physically and financially.